Buying real estate is a fun and exciting process whether it is your first time or you’re a seasoned veteran. It is easy to get started on the wrong foot and veer off the path in the process which is why I have a set program to ensure a wonderful and memorable experience for all of my clients. The initial meeting is an interregnal part of the buying process. This is where you are able to share your dreams and vision of the perfect home. This includes activates you like to do, what you plan on doing once you get here, the short term goals as well as the long range goals. 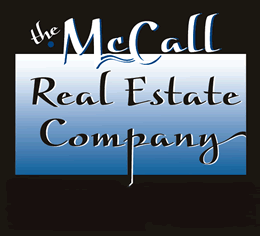 Once we have put your dreams and visions of property in McCall to paper the next step is to take a look at what is out there that best matches those dreams. I will create a list of properties that fit your vision. We will then take as much time as needed going from property to property looking and investigating each and every opportunity that you fill is a match. Now that we have toured the area and looked at all the properties available in your criteria we are able to narrow the search down to a couple of possibilities. This step is where we get the details for each home, a property profile, set up a follow up showing, get plat maps and recorded documents. We then take a look at the homes with a magnifying glass to narrow the few down to the one. With the one and only property narrowed down we will go through the purchase and sale agreement, or sometimes referred to as the “offer”. I will conduct a through comparative market analysis to get a true market price for the property. We then go through the agreement with the correct information that best suits your needs, all the while taking into consideration the possible sellers reactions. Once the agreement is signed and dated we then take the “offer” to the sellers and I will present our offer to them. From here I will negotiate on your behalf to ensure that we get the best and fair market deal possible. The second to last step in the process is the actual closing of the transaction. This is where the escrow officer goes through the closing documents and lending documents if applicable, page by page to ensure that everything is as it should be. Once all of the documents get signed and dated from both the buyers and sellers, then the title company records the deed and disburses the money thus creating a third party transaction. Once the deed is recorded, Welcome Home! Here in lies one of the biggest differences between my experiences and other agents. The closing is not the final step in the process. A long term relationship has been created and through this wonderful process and I am available to help with the transition to your place here in McCall. I not only work here, but I live here too and enjoy spending time enjoying the area and all it has to offer. If you have any and all questions or need any future help with buying or selling I am always available to assist you in any and all of your real estate needs.